A great gift for animal lovers everywhere, this keyring can also be engraved adding a special touch to make it a wonderful gift for someone special. 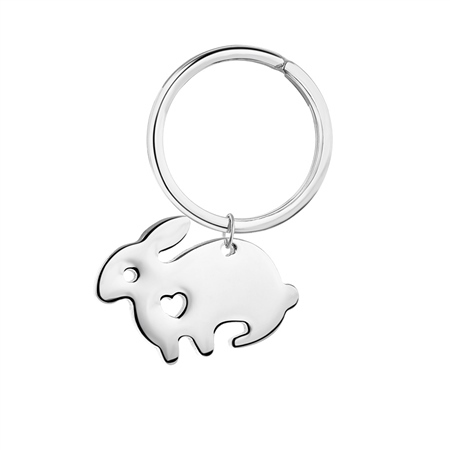 Silver plated keyring with a protective anti tarnish layer, bunny rabbit design, presented in a Newbridge Silverware gift box. Product dimensions 30mm x 21mm x 3mm.